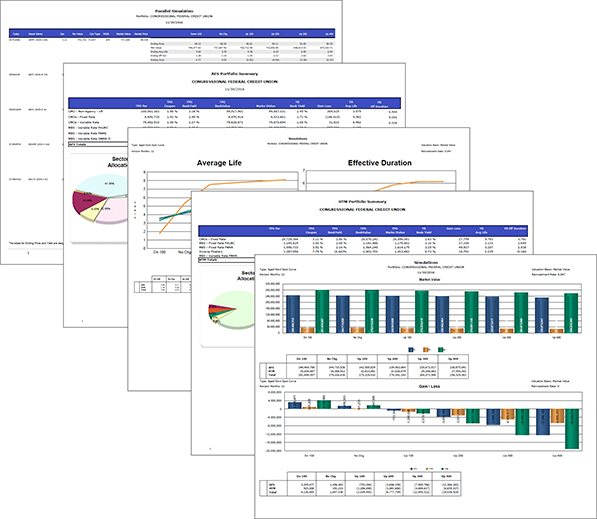 By leveraging third party solutions (Citi YieldBook, Bloomberg, and ZM) with TPG functionality, TPG’s Analytics Module performs complex portfolio analysis to improve your risk management operations. The module is equipped with sophisticated reports that better inform you of the impact potential changes have to your portfolio, including detailed sector analysis and rate shock information. And when you pair the Analytics Module with the power of TPG Workstation, you gain unparalleled control of your portfolio including trade capture, front office analytics, risk monitoring, and back office calculations and reporting while maintaining connectivity to your internal financial systems.